​Standing ovation in the Großen Saal des Hauses der bayerischen Landwirtschaft in Herrsching-Lochschwab last Saturday 12th January 2019! Denys Proshayev performed J.S Bach Preludes and Fugues (I), Mozart Rondo in a minor KV 511 and F. Schubert Klavierstücke D 946. Next to his many concerts engagements, Denys Proshayev, who was the assistant of the great Vladimir Krainev for a great number of years in Hannover, and who also taught at the Hochschule für Musik Franz Liszt in Weimar, always committed to teaching younger pianists and share his concert experience. Since September, Denys Proshayev has been appointed Guest Professor at the Royal Conservatory The Hague! In 2018, Denys Proshayev became the artistic director of the Musikfest Wasserschloss Gesmold which first edition last September was a great success and showed the future of this Piano festival highly promising. The festival had the honour to welcome Prof.Oleg Maisenberg who performed the opening concert. The opening recital of the next edition on the 29th August will be performed by Elisabeth Leonskaja! Denys Proshayev performed Bartok Concerto n°3 with the Duisburger Philharmoniker under the Baton of Peter Hirsch. ​Congratulations to Denys Proshayev and Nadia Mokhtari on their highly successful C. Bechstein recital at the Konzerthaus Berlin on the 30th November 2018! 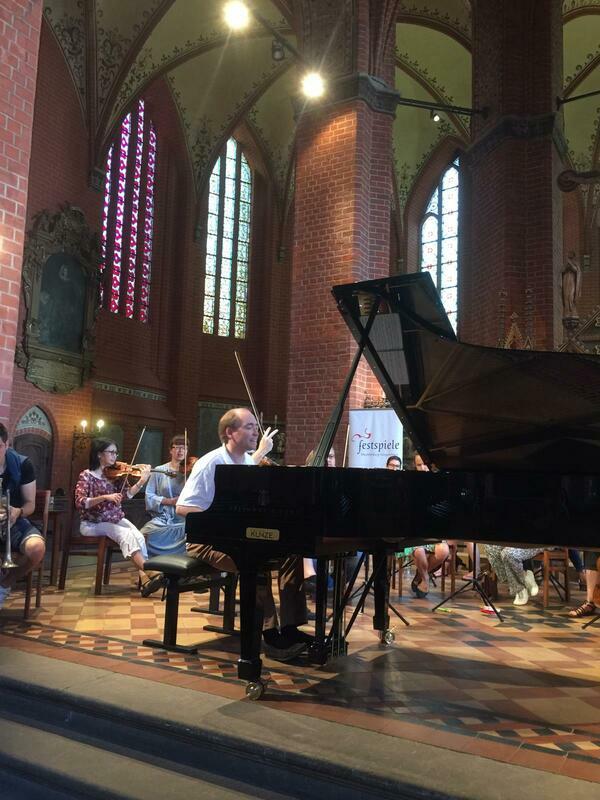 ​Great success of Denys Proshayev and the Züricher Kammerorchester at the Mecklenburg-Vorpommern Festspiele on the 21 July 2018 in Parchim. They performed D.D.Shostakovich Concerto for piano and trumpet! Next appearance of Denys Proshayev at the Mecklenburg-Vorpommern Festpiele will be on the 4 July 2019 with the violinist Mira Tujakbajewa for a duo concert! Denys Proshayev and Martin Schläpfer's collaboration in Ludwigsburger Schlossfestpiele. Review in the "Süddeutsche Zeitung" of Proshayev's recital in the beautiful castle of Seefeld! The New Year 2016 started with Denys Proshayev playing Grieg piano concerto in A minor op.16 with Andreas Hotz and the Osnabrücker Symphonieorchester! Follow this link to read more about this sold out concert! 9th and 11th May 2015 : Denys Proshayev is performing Mozart D minor concerto together with Andreas Hotz and the Osnabrücker Symphonieorchester in Kiev and Minsk! ﻿Concert and Masterclass at Gimhae International Music Festival in South Korea!!! Denys Proshayev and Gabor Boldoczki played Shostakovich concerto n°1 under the baton of Osmo Vänskä with Konzerthaus orchestra ! 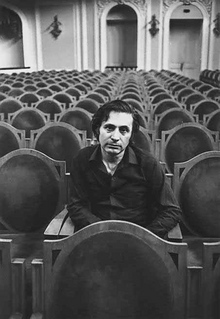 Denys Proshayev also played Schnittke Concerto for piano and strings the same evening, which he recorded earlier with St.Petersburg String Soloists and Alexander Dmitriev ! ﻿Denys Proshayev and Roman Kofman ! 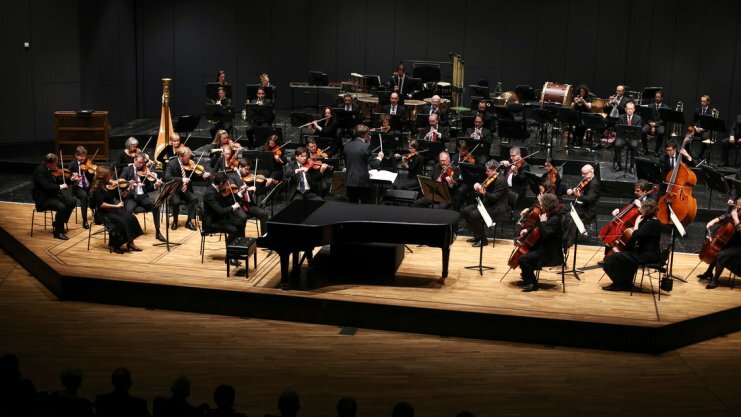 Denys Proshayev will perform Grieg piano concerto op.16 with the Kiev Chamber Orchestra under the baton of Roman Kofman on Tuesday 23 September 2014. 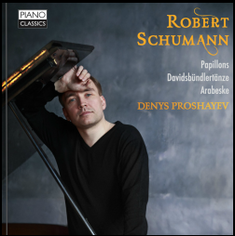 The newest and wonderful critic signed Michael Stallknecht on Denys Proshayev's latest CD dedicated to Robert Schumann. There is an opportunity to listen to the 'Papillons' from the CD on the 29th of January 2014 between 3 and 4 p.m CET in the programme "Pour Le piano" on Bayern-Klassik. 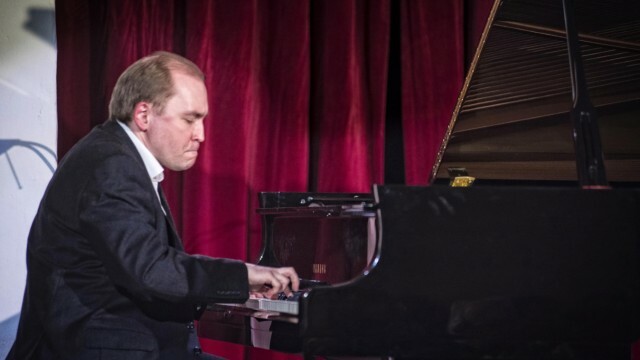 Bechstein concerts series in Berlin :Another opportunity to listen to Denys Proshayev playing Schumann pieces from his latest CD and meet the artist! New CD SCHUMANN release in September 2013 ! 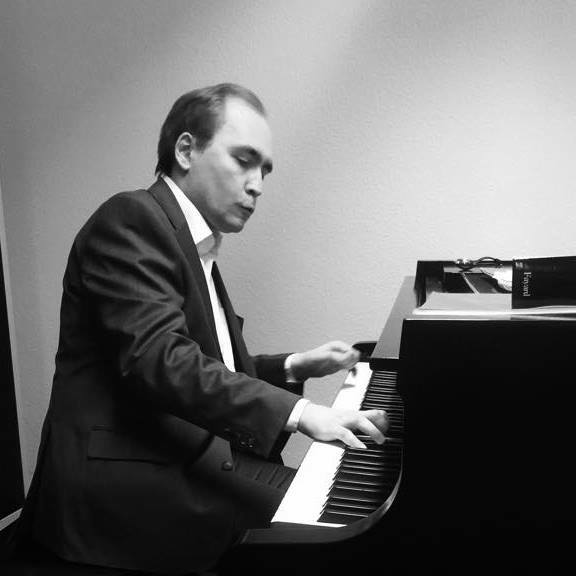 Piano Classics interviews Denys Proshayev ! In November, the first "Music Festival for Peace" will be held in Hiroshima. This project is initiated by Eiji Oue who took inspiration from his teacher and mentor Leonard Bernstein, founder of the Pacific festival Sapporo in 1990. The festival will present more than 100 concerts all over Hiroshima for its first edition! Denys Proshayev will give a recital in the Center for Youth on the 9th of November. In September, Denys Proshayev was in St Petersburg where he recorded the Concerto for Piano and Strings of Alfred Schnittke with the Strings Soloists of the St Petersburg Academic Philharmonic Orchestra under the baton of Maestro Alexander Dmitriev. Denys Proshayev will be back in studio, in Berlin this time, to record the solo work Aphorisms as well as the Gogol Suite for two pianos with Nadia Mokhtari. The release of the new Schnittke CD by Piano Classics is planned for the beginning of 2014! Denys Proshayev will perform the Davidsbündlertänze in a very special place for the release of his new Schumann CD : the Schumann Haus in Zwickau (Sachsen). 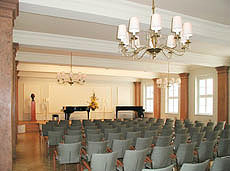 The concert is on December the 1st, at 5pm in Schumann Haus. 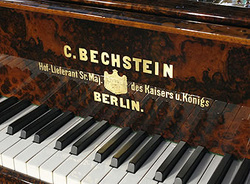 The programme will also include works of Bach and Beethoven. Since 1994, the castle of Ulrichshusen has become one of the main place of the Mecklenburg-Vorpommern Festival. Along the summer concerts, the small but fine concerts serie " Musik zu Advent und Weihnachten" has established itself and is presenting Denys Proshayev December the 15th, at 4 pm with works from Bach, Beethoven, Ravel and Schumann. L.v.Beethoven : Klaviersonate Nr.17 d-moll Nr.17 op.31 Nr.2 "Sturm"
Piano Duo in Concert Tour in Germany with Mozart's Requiem! 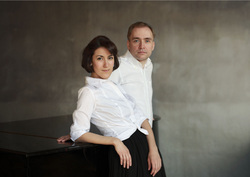 Denys Proshayev and Nadia Mokhtari will perform a tour throughout Germany until the end of the year, dedicated to Mozart. A very rarely played work in the program : The Requiem in a transcription for piano four hands of Carl Czerny, one of the most important Piano pedagogues of the Nineteenth century, who was also very famous for his arrangements for piano beside his work as a composer.